Custom Major Bench Wheel Brush Designer | Felton Brushes Ltd.
For all-purpose portable or stationary brushing. A brush that provides excellent performance for a broad range of industrial applications – edge blending, deburring surface roughing, dust removal and many other jobs. 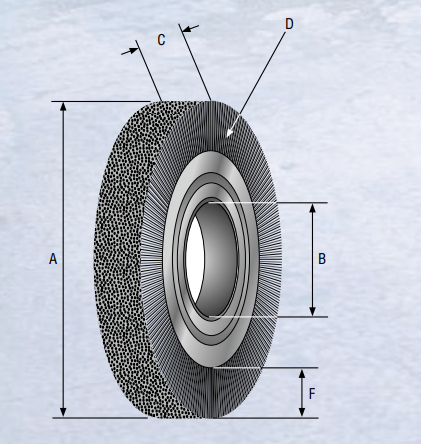 The wheels have a standard 2” arbour hole, and for the 4” wheels the arbour hole size is 1–1/8”. Available in many different type of filaments.